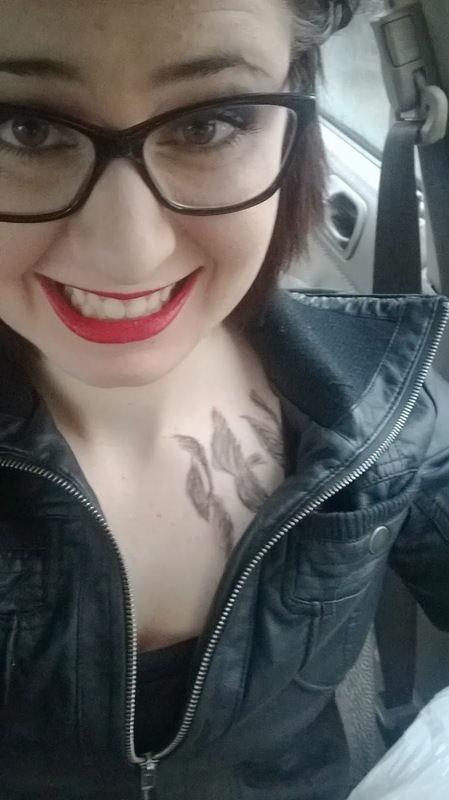 And then when I was waiting to meet my cousin/bestie (she was my guest, and we took her van, named Petunia), my mom did a quick draw of Tris's tattoo on me in eyeliner...which smeared on the way to the event. And I never got a chance to go over it in Sharpie, oops! (And it was totally awkward, because we're in my car in a parking lot and she's drawing on me.) Voila! Then my cousin showed up and we headed to the screening (and totally listened to the Frozen soundtrack in the car). 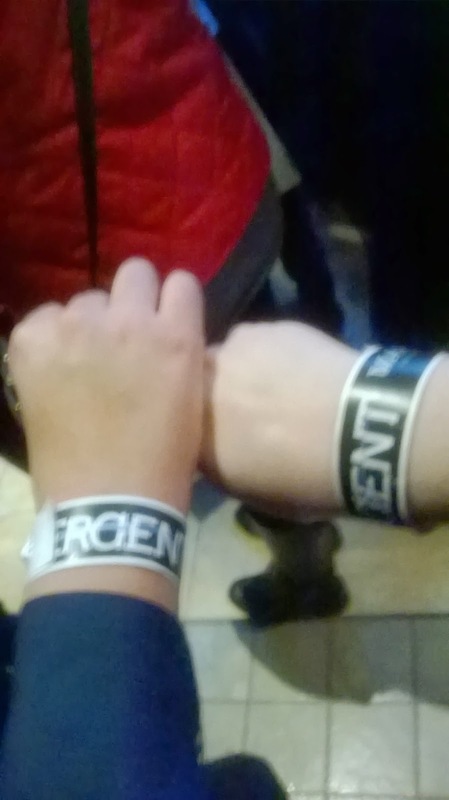 Of course I took a wrong turn and we were late (I had to be there by 5:30 to get my passes), but we still got in, so all was good! Part of what made this screening more cool and extra special is that some of the actors from the movie were there! 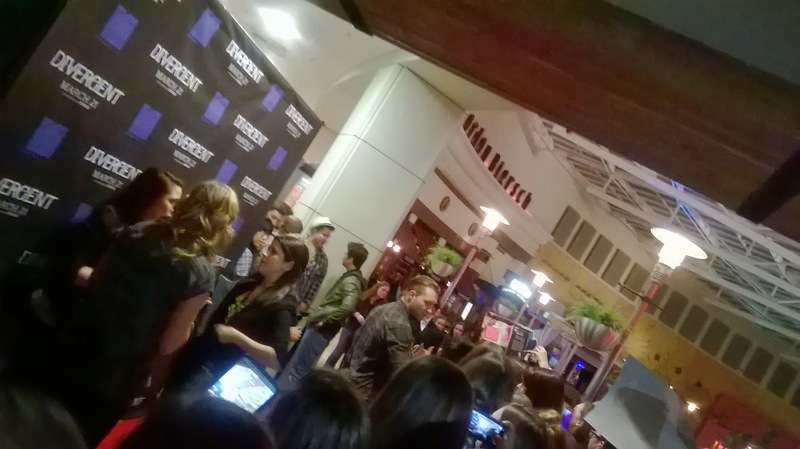 So we waited for them to arrive on the red carpet. And then the false screams sounded real, and the actors were hereee! But we were at the very end of the carpet, so it took some time (at least forty-five minutes) before we could actually SEE the actors. But then we could see their glorious selves! Miles Teller (Peter)! Green jacket! And you can also see Jai! Here, have some close-ish ups! We also got pictures with Miles and Jai (!!! ), but my stupid Windows phone refused to take pictures that weren't blurry, so a girl in the group of front us (thanks for being so nice, ladies!) was kind enough to take pictures on her phone for us. So when I get those from her (hopefully soon! ), I'll post them! And then it was movie time (!!!). I will not tell you what happened in the movie. This post should be spoiler-free, so do not fret! But you all want to know how the movie was, right? My cousin Nikki, who had not read the book, said it was "intense," I believe. And me? (I read the book over a year ago, but I don't remember everything, except that it was AMAZING.) I think I'd call it BADASS. Was it a perfect match-up of the book? No. Some scenes were altered, and some characters weren't as prominent (and one wasn't even mentioned, and I think he was in the book). But there's only so much they can do to fit 487 pages into a movie that's almost two-and-a-half hours long. We've seen lots of books hit the big screen. Some are made with high quality (The Hunger Games, Harry Potter), and some not as much--but that doesn't mean they're not good (Percy Jackson, Beautiful Creatures). Now, I'm not trying to bash anything or anyone. But with the exception of Twilight, high quality movies tend to be more successful than those that are not. Divergent is a damn good movie, a damn good book-to-movie adaptation, and one that is worthy of the book it's stemmed from. It's well made, and made with quality. It has the makings to be a successful, good movie. The movie had swoons, laughs, gasps, thrills, adventure, suspense, intensity--and LOTS OF ACTION. The fighting/combat scenes were just SO COOL. I want to watch them over and over again. 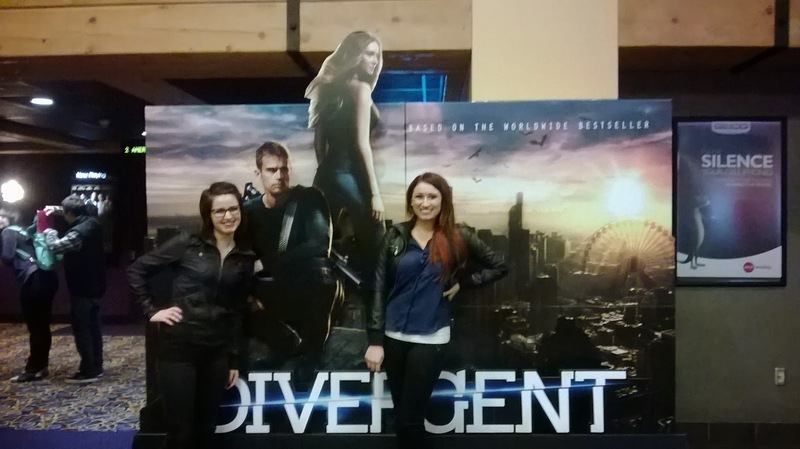 And I know Divergent isn't some light and fluffy book, and neither is the movie, but this film was FUN. And the world they created looked so awesome, and the fear sequences were great, and just AHHH! I'd like to go watch it again. Now, please. And now, a quick bit about the characters and characters! Tony Goldwyn (Andrew Prior): I wish we got to see more of Tris's dad, because FITZ (Scandal)! Amy Newbold (Molly): Dang, Molly, you're a major B-word and I don't like you. Christian Madsen (Al)/Ben Lloyd-Hughes (Will): I'm sorry, but these two looked so similar and I never really knew who was who until something certain happened. Jai Courtney (Eric): Dude plays a good bad dude and douche. Miles Teller (Peter): So I know Peter is a total douche, but I actually kinda sorta really like movie Peter. He's funny! Adds a bit of fun to the movie. Ansel Elgort (Caleb Prior): He seems like a completely different person in The Fault in Our Stars trailer, which is interesting. WE SHALL SEE. But he's fine as Caleb. 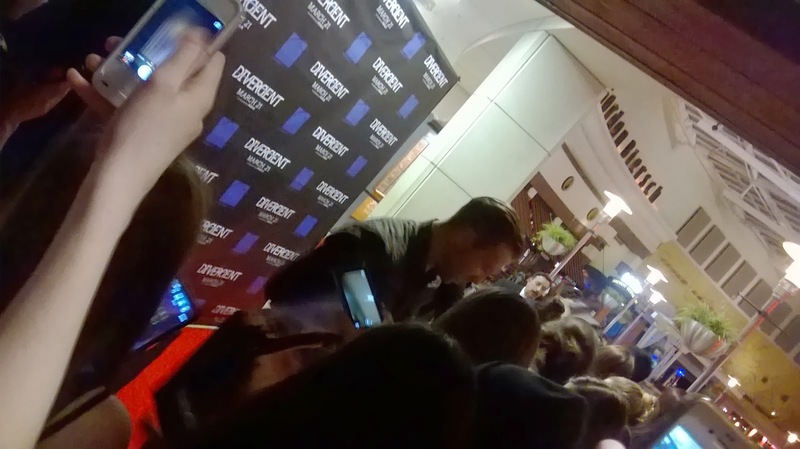 Theo James (Four/Tobias): So you're still not the Tobias I've picture, but I LOVE YOU I LOVE YOU I LOVE YOU. You're great. And remind me to never get in a fight with you. Shailene Woodley (Tris Prior): I'm going to have take back my doubts about Shailene Woodley. I've always seen her as That Girl from The Secret Life of the American Teenager, but after Divergent and the The Fault in Our Stars trailer, I'm thinking otherwise. 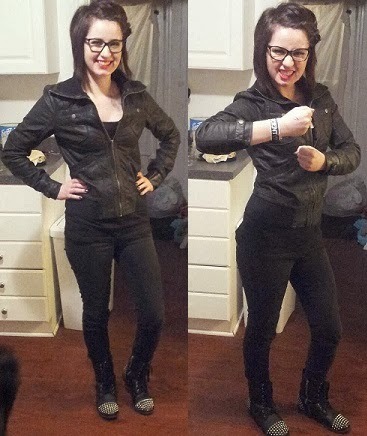 I think she did a good job as Tris, and better than I originally thought. I'm very happy to have been proven wrong, with her and a lot of the cast. I was kind of scared to see Divergent because of the book we don't talk about, and I know some other people have those same worries. While I did a get little teary a couple of times when I thought about said book and the rest of the series, it was okay. And I think you will be, too. 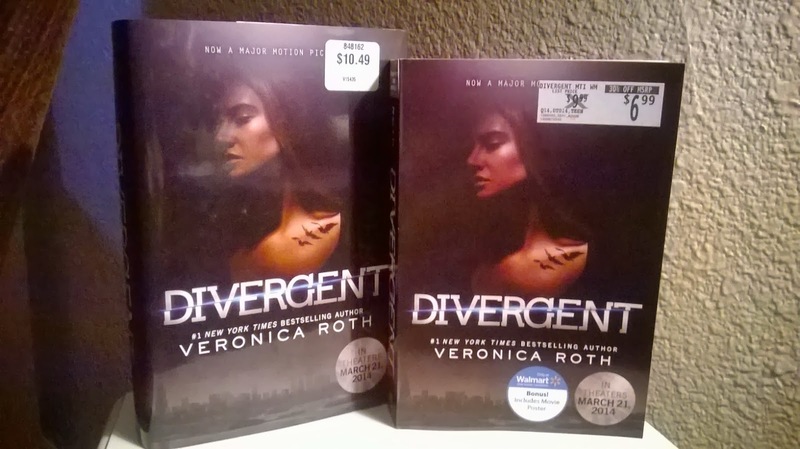 Whether you've read Divergent or not, I believe you will like this movie. (And it'll make you want to read/reread the book, which is great...except that I can't do that, because reasons.) It's worthy of the book, and I am pleased that people actually put a good deal of effort into making this not just some movie or book-to-movie adaptation, but to making it a GOOD one. 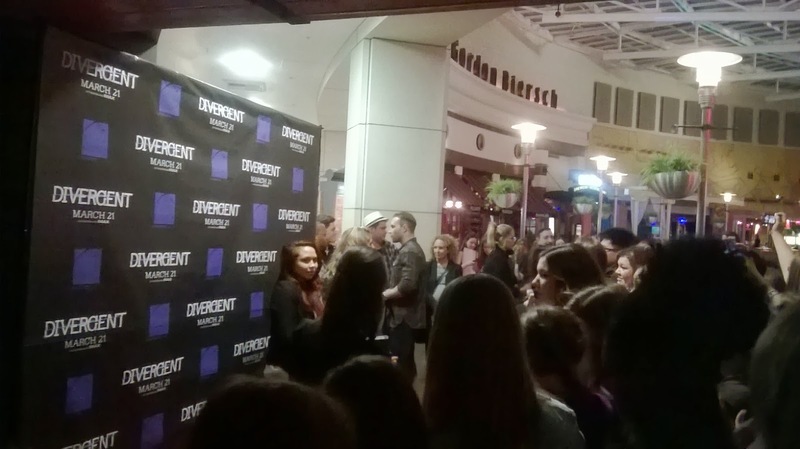 Well done, Divergent. Well done. 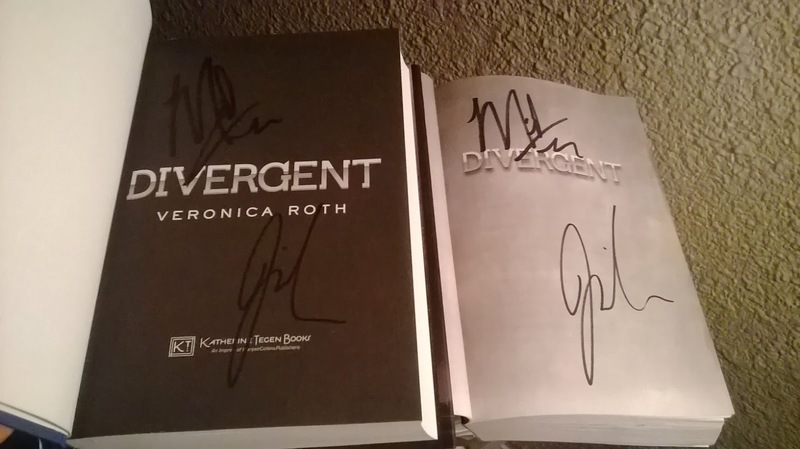 Now, when's can I buy it on DVD and when is Insurgent in theaters? If you're interested, here are my thoughts on the books: Divergent, Insurgent, and The Book That Shall Not Be Named. How fun! It looks like you had a great time. I love the tattoo your mom drew on you! I'm so happy to hear that the movie was good, too. 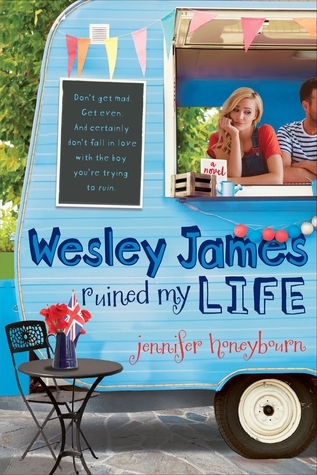 I think most of us are weary when a beloved book gets turned into a movie. I'm now even more excited to see this. Great post! 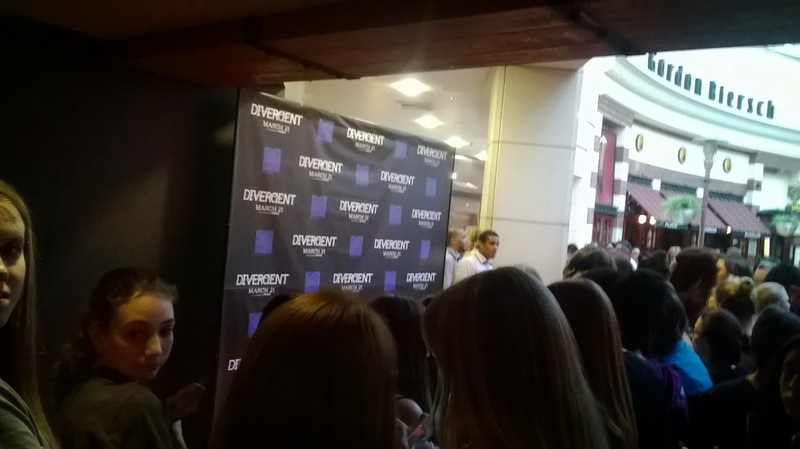 AHH that's SO cool you got to go to the pre screening! AWESOME outfit for Dauntless! I plan to go opening weekend and also plan to dress up -- fiance, who I'm dragging along with me, better not make fun of me. Haha. I'm REALLY glad that the movie was good! After VA, I wasn't sure what to think about book to movie adaptations but from the trailer, it looks like it'll be well done! Also THEO JAMES. I really freaking love that man.